Amber's envy could eat her alive . . . if she didn't have a plan. Amber uses Daphne's compassion and caring to insinuate herself into the family's life--the first step in a meticulous scheme to undermine her. Before long, Amber is Daphne's closest confidante, traveling to Europe with the Parrishes and their lovely young daughters, and growing closer to Jackson. But a skeleton from her past may undermine everything that Amber has worked towards, and if it is discovered, her well-laid plan may fall to pieces. 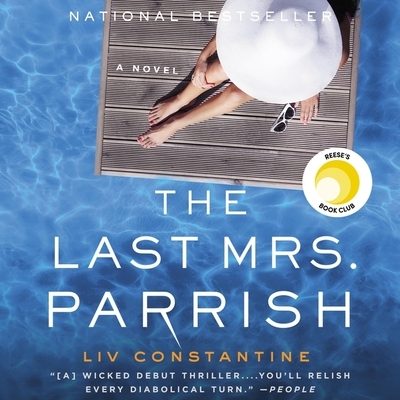 With shocking turns and dark secrets that will keep you guessing until the very end, The Last Mrs. Parrish is a fresh, juicy, and utterly addictive thriller from a diabolically imaginative talent.